"General aviation is facing its most serious challenge in its 100-year history. Proposed user fees in the president's budget, growing urban pressures on GA airports, onerous security proposals, and a lack of commitment to fund FAA operations and airport improvements is what we're facing. We can't stand by and let others define us. We must take action—and that begins with your story." AOPA is amassing the "stories" of as many GA pilots as they can, to use as ammunition in the many battles we aviators are waging. Placed together as a body of information, it is AOPA's belief that when presented to Washington, D.C., these "real stories from real pilots" will make the difference in letting policy-makers know what's at stake. My story starts like so many others...a 10-year-old boy hanging on an airport fence. I used to have an old Zenith all-band radio in the garage, and had memorized the flight schedules of the United 707s that would depart FAT in Fresno, CA. After struggling with family and finance issues, I earned my private ticket in 1996, and have just completed my instrument training this month. My business is an advertising agency and creative studio that specializes in promoting aviation businesses, so it made perfect sense in 2007 to buy our 1964 Piper Cherokee 235. With the utility this private aircraft gives our company, we are able to serve the West coast with face-to-face immediacy, landing directly where our prospective clients are located. When you are trolling for aviation customers, it never hurts to taxi right up to their ramp in your own plane. AOPA's President Craig Fuller is right, the general aviation community is facing very serious challenges these days. We bought our own aircraft to gain an effective tool in competing with other agencies for aviation business, and I earned my IFR rating to allow dependable scheduling in all but worst case scenario weather. But if the Federal Government is successful in implementing user fees, we will be impacted severely in two ways. First, our direct operating costs of flying "Katy" our 235, will rise. While we really do not know exactly how much, we need only look at the European user fee model to see how these fees could be so punishing, it could conceivably ground our plane. And secondly, when we ground our private plane, thousands of other GA users will do likewise. When private aviation owner pilots can no longer afford to fly, it will effectively kill off large and small aviation businesses, the very sector my company serves. Private aviation has been given a bad rap these days, from the White House to Main Street. It is inexcusable that the traditional media in this country cannot differentiate between a few greedy hedge fund CEOs and the rest of us who rely on GA aircraft as a vital part of our small businesses. This PR battle is being waged daily by AOPA, EAA, AAAA and NBAA, and it must be won. 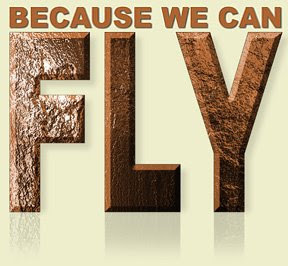 I urge everyone to join the organization that best represents your flying interests to join together and fight user fees. It is that, or we might all end up flying hangars at ghost town little airports across this land. I believe the user fee fight is a must-win if GA is to survive for the next generation. Yes, that is a dramatic statement, but GA needs to get your attention on this, because we cannot let user fees become law. AOPA has made the submission of your story as easy as possible, just go here and use their GA Story Upload Tool. Written documents can be in DOC, TXT, DOCX, photos in JPEG, GIF, TIFF, PNG formats, and video can be sent as WMV, MPG, AVI, MOV, MP4. There are some waivers you will need to read on the upload page, and if you have any questions, please contact AOPA at 800/USA-AOPA. You may also email stories to GAstories@aopa.org.